a shine machine: 6 months. 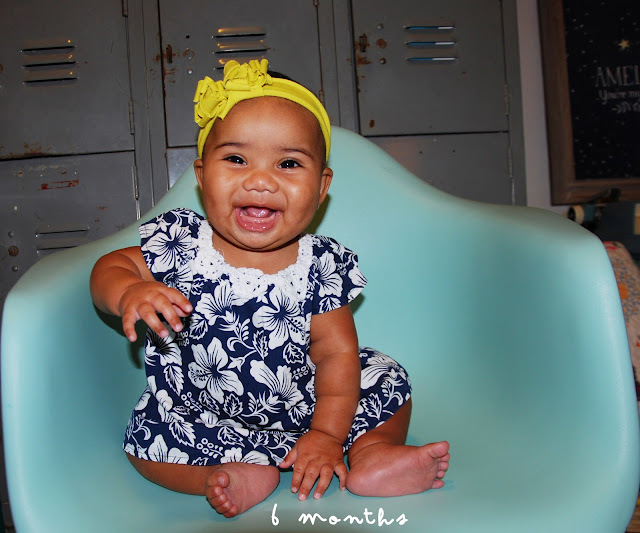 The best 6 months of my life! * she is saying "da da da da"
* she loves to play with "big" toys now. I can't believe we have had her for half of a year already. She is just too much for me. That smile! You are so so so blessed. she has the most amazing smile!